I remember taking this picture so well. 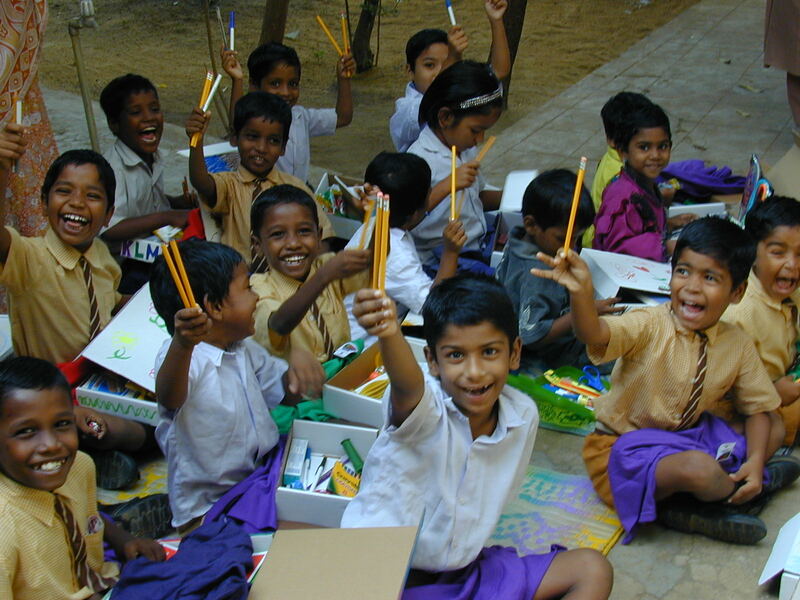 I asked the children what they were excited about receiving from their Hope Packs, and they held up their pencils. “Pencils”, I said, “No Way!” and they all shouted back “YEEAAAHHHH”. A moment I’ll never forget! Side bar: Every time you “share” one of my blog posts on Facebook five new people see visit this site. Thank you for making this blog a hit and an effective tool for people to learn about helping the poor. Keep sharing, commenting and sending me your ideas.